Charlie Francis won the Future Chief Financial Officer award. 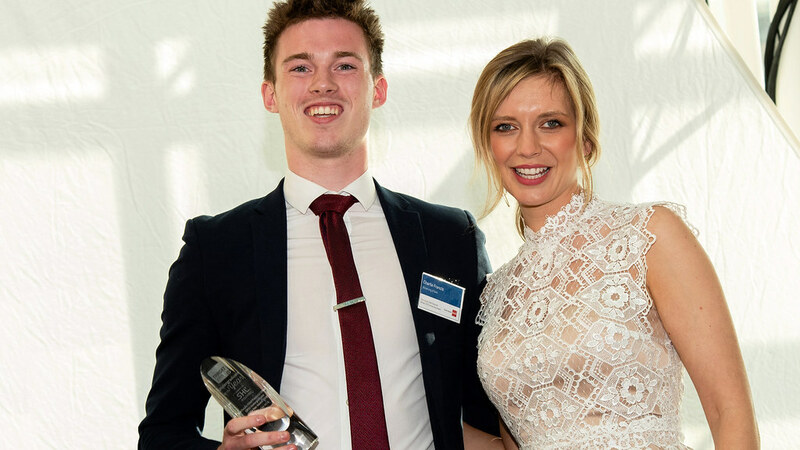 School of Management student Charlie Francis won the Future Chief Financial Officer award at the TARGETjobs Undergraduate of the Year Awards 2018. He received his prize at a special ceremony in Canary Wharf, London, on Friday 20 April. Charlie, who is in the second year of his BSc Accounting and Finance degree, was one of ten students shortlisted. I couldn't believe it. The credibility of the undergraduates sitting next to me at the table made me sure one of them would pip me to the post, but now it’s sunk in a bit I just feel extremely proud. It also makes me feel extremely fulfilled knowing the hard work I put in during the earlier stages all paid off. Having the title Undergraduate of the Year certainly comes with a large sense of recognition. The award is in its ninth year now, so the legacy that comes with it is good – I have already had past winners of the award contacting me with their congratulations. ACCA sponsored the award and Charlie will visit their offices in Dubai. He’ll spend a week in the Middle East and get the chance to network with senior business figures. The Future Chief Financial Officer award celebrates ambitious, forward-thinking, commercially minded candidates who have a strong interest in business finance. Charlie is part of the EY Scholarship scheme and completed an internship with the company in 2017. He will start a year-long placement with them in their London office this summer. Charlie has also completed internships with PwC and Harrods Finance.